PLEASE READ OUR BOOKING POLICY CAREFULLY. 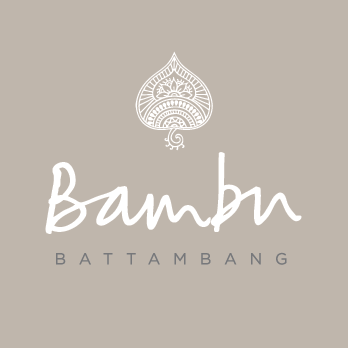 BY BOOKING AND REGISTERING ON OUR WEBSITE YOU ACKNOWLEDGE YOUR AGREEMENT WITH BAMBU’S BOOKING POLICY. Your booking confirmation number confirms your booking with Bambu Battambang Hotel and Restaurant. After 48hrs, 10% of the booking fee will be taken from the credit card registered with us. 40% of the total booking fee will be charged six (6) weeks before arrival, and the remaining 50% will be charged three (3) weeks before arrival. Each booking must be guarantee by a valid credit card. The card details are also used in case of no show and late cancellation. We accept cancellations up to six (6) weeks or more prior to the day of arrival free of charge. In case the reservation is cancelled later than six (6) weeks prior to the day of arrival or if you do not arrive at the hotel (no-show) you will be charged 100% of the entire stay. Cancellation or changes can be done via your online guest management account by clicking on the link "my account" found on the website. Alternatively, send an email to info@bambu.com or telephone +30 2284 051549 to cancel. In case of no show, or departure prior to the scheduled one, the Hotel has the authority to charge the credit card provided with the full amount of the cost of the reservation. You agree to pay for all and any of your outstanding payments/ bookings/ balances for products or services purchased or confirmed via the site. You agree that Bambu may charge your credit card as listed in your booking for any outstanding balances, and for any additional amounts. If you would like to pay for any outstanding payments/bookings/balances with another credit card than the one used for the guarantee, or by any other means please inform Bambu about any such changes via the “special request text box”. You agree to provide accurate, current, and complete required information during the sign -up and booking processes. You are entirely responsible for all provided information and a credit card guarantee. Bambu Hotel shall not be responsible for any losses arising out of the unauthorised use of your Account.